Do you celebrate each holiday? I try to incorporate fun themes into our school day to add a little pizzazz to our routine. Not only actual holidays like Valentine’s Day or Easter but also seasonal themes like winter, spring, gardening, and basketball. That is why I was so excited for the opportunity to review STEM Activities, Full Year of Challenges with Close Reading by Tied 2 Teaching. This packet holds a full year’s worth of creative STEM activities organized by month and monthly themes. The challenges are aimed at students in grades three through six; however, my second grader loved the activities and with a little help was able to do a lot of the book work, too! Each project is designed to challenge both their reading and comprehension skills as well as their design and problem-solving skills. Using a QR Code app on my iPhone, I scanned the QR code, which took me right to the reading passage from Wonderopolis that corresponds to the lesson. You can also go directly to Wonderopolis, which is a truly wonderful resource of non-fiction information for kids. My students listened to the text, and we discussed and answered the questions together. The kids then spent some time thinking through their design using the ASK. IMAGINE. PLAN. CREATE. IMPROVE model. The workbook guides them through this process. What can I do to improve my design to make it work better or be more efficient? After some modifications, we test again. We are now true scientists! Most of the materials needed to complete the most of the builds are common household and craft supplies. Once the materials have been gathered, the challenge is pretty much open-and-go. I printed each student a copy of the challenge packet, and we went through it page-by-page together. Using whatever materials you want, design an innovative trap that is capable of trapping a pesky leprechaun. Using only one 12 x 18 piece of foil, design a boat that will float. Count how many pennies it can hold. Using straws, build a rainbow bridge that can support the weight of a pot of fold containing 50 pennies. Purchased separately, these challenges cost $3 each, but right now, if you purchase the bundle, you get all 62+ challenges for $30! Have you tried any of the STEM activities from Tied 2 Teaching? I’d love to hear about it in the comments below. 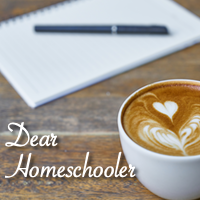 Check out more review from the Homeschool Review Crew by clicking the banner below.